Leave a comment on THIS post through Tuesday, June 6, 2017 to be entered in the DRAWING for a copy of the book below. If you mention in your comment that you’re a follower (see in the left sidebar “Join This Site” and “Follow by Email”), I'll add your name a second time in the drawing. U.S. mailing address required to receive a paper book. I may or may not have read books offered for giveaways. The mention and giveaway of books on my blog does not in any way indicate any manner of my endorsement of said books. Read book giveaway details at Disclaimers. To provide you security, please leave your email address like this: johnATyahooDOTcom. Winner announced in next Thursday's blog post. them and equally loves to write about them. She and her husband did a lot of four-wheeling in the back country of Colorado. 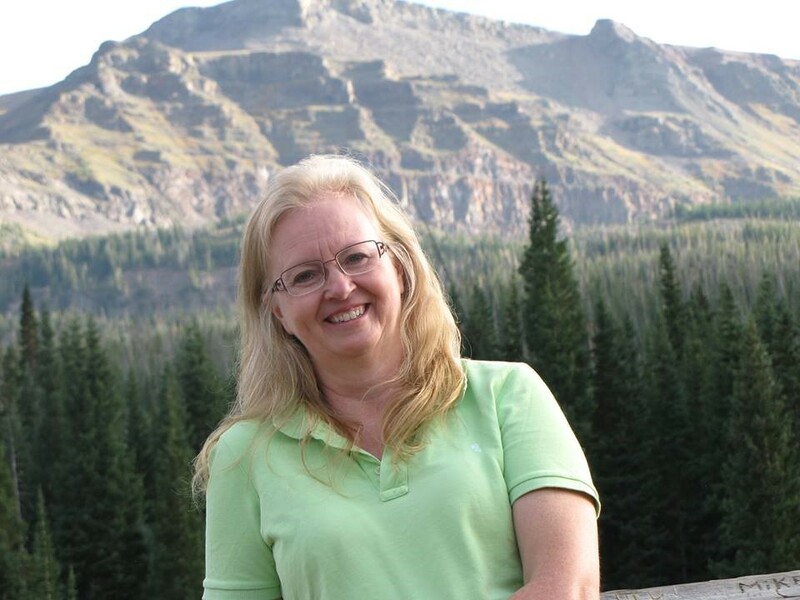 Sandy wrote a community news column in a small newspaper for twelve years, a few magazine articles and two novels with adventure, mystery, romance, but most importantly sharing God’s love. 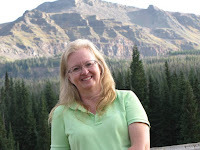 She is a member of the American Christian Fiction Writers and has two books out. Married for 40 years, she and her husband love life as grandparents to three after the big move to Texas. Welcome, Sandy. If you could have dinner with one person from today or history (except Jesus) who would it be? Why? This is always a challenging question, because there’s so many. I’ll be a little different. At this point in life, and with the bombardment of news, I would choose Mike Rowe. I think he is one of the funniest guys out there and highly intelligent. Not to mention an amazing singer. It would be a hoot and certainly a diversion from all the bad going on in the world, to sit down and have dinner with that guy. We were blessed to spend 10 days on the Grand Cayman several years ago. It was my first experience with snorkeling. Being a land-loving, chicken in water, this was a big step for me in my list of adventures. My hubby and brother-in-law were there with me. I had a death grip on my hubby’s arm and threatened him if he swam away from my side, but once they got me in that crystal clear water and I put my masked face under the surface, I didn’t need anyone. To see an entirely different world filled with vibrant colored fish, coral of every shape and size, creatures I never could have imagined, and so many exciting things, it was the most magical time of my life. During that week, we experienced the adventure of our lives daily. Even having a nurse shark swim below us (that was a little too exciting, since I didn’t understand that was a harmless one at the time), and Moray Eels, lobsters, Eagle Rays and then one day we swam with Stingrays. It was so exhilarating. These days, I have a few. I have an office. A really nice one. I also write in the recliner with my lap top most often. 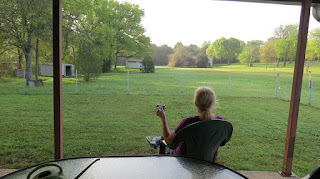 But I look forward to writing on our back porch now that the weather has cooled off in Texas. We moved here from Colorado last January. From March through June it was fabulous out back. On the right is a picture of the view I have. It’s very relaxing. Tell ALL their friends and please write a review on Amazon or any other ordering site. Give them as books. Say something on your Facebook page. Tweet about it. Just spread the word! I would appreciate that so much! In fact, do this for any author. It helps a writer’s career. Please tell us a little about your novel, Rescue Me. won't risk the heartbreak of losing someone else. But when Steve McNeal returns, Ronnie's heart is tested. How can she swear off dating a firefighter when she has to work with the one man she used to love? 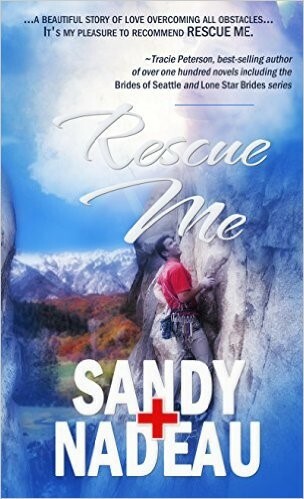 Where can readers purchase Rescue Me? Thank you for having me on your blog. I enjoy interacting with readers, so I encourage any questions on social media. What has been your most exciting adventure in life? Sandy, thanks for visiting with my readers and me. 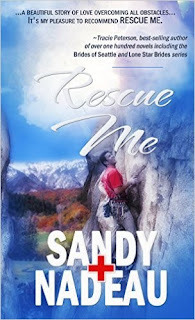 Sandy is offering a paperback copy of Rescue Me to one commenter to this blog post. Commenters, to enter the book drawing please leave your comment on this post through June 6, 2017 and remember to leave your email address so I can contact you if you’re the winner. The winner of last Thursday’s blog post for a copy of Let Love Spring by Jodie Wolfe is Debra. I’ll email you. Thanks all for commenting. Watch for more book giveaways. this books sounds so interesting. don't we all deal with these emotions in some fashion through out our lives. we can be very reluctant to let God be our compass at times. Sonja, thanks for coming by and leaving your comment and for following my blog! My most exciting adventure was going to Colombia, South America when we adopted our son. Being in the big city of Bogotá was an eye opener for us. So much poverty all around us. Nancy, thanks for commenting. I appreciate your following my blog! My most exciting adventure was when I spent 2 weeks in China. I visited friends who were teaching in schools over there. I'm glad I went when I did because the following year they both retired and moved back to the States. I am a follower. Shelia, thanks for stopping by to leave your comment. I appreciate your following my blog! My most exciting adventure was going on a mission to Peru. I am a follower. Debra, thanks for following my blog and for commenting!